Birdwatchers in Bengaluru. Photo by Ravi Viswanathan. The photo contest is now closed: view the winner and all the other entries in the GBBC 2016 Photo Contest album. If you have a camera with you when taking part in the GBBC in India, whether a digital SLR, point and shoot, or just your phone, then do enter this year’s photo contest. The theme is “People and Birds”. On any of the GBBC days, i.e. 12 – 15 February 2016, take photos that reflect this theme: we are not looking just for great bird photos (which hopefully you will take anyway and upload with your eBird checklists!) but photos that capture that little something more about people and their interactions with birds. The winner will receive a small prize. To avoid undue stress to birds when photographing, please read and comply with the Audubon Guide to Ethical Bird Photography. All entries will be judged by three well-known Indian wildlife photographers: Ramki Sreenivasan, Rathika Ramasamy and Sumit Sen. They will be assessing photos on how well they reflect the theme and convey the spirit of the GBBC together with their artistic merit, rather than just technical competence. Note that there is also a photo contest for GBBC globally and you may of course enter that as well! 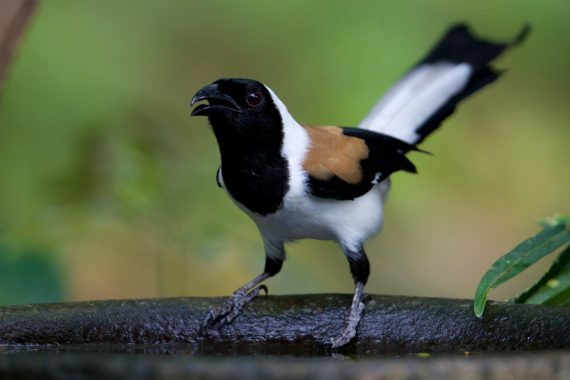 By submitting your images you agree to allow BirdCount India to use them in connection with with any BirdCount India outreach and publicity projects. You always retain copyright and ownership of the images.